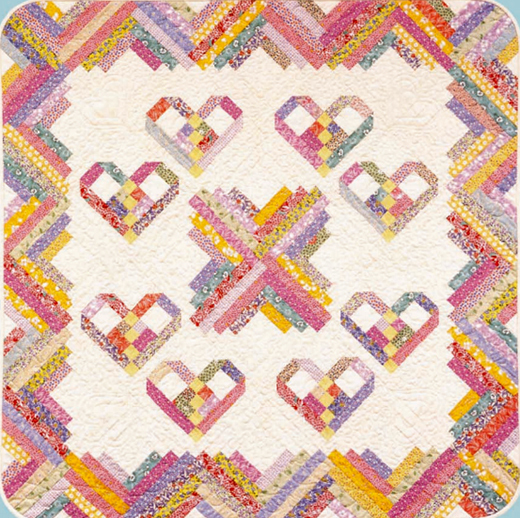 This Heartstrings Quilt designed by Evelyn Sloppy for ShopMartingale, The Pattern is available for free. An adorable quilt for a special baby, this can also be made into a larger quilt by adding another round of hearts and Log Cabins. The quilt has eight Heart blocks and sixteen Log Cabin blocks set diagonally, with sixteen Half–Log Cabin blocks around the edges.